An arrangement of pills of the opioid oxycodone-acetaminophen, also known as Percocet, in New York. A new report finds a link between workforce participation and the prescription rate of opioids in the U.S. According to a report by the Organization for Economic Cooperation and Development, the percentage of people of prime working age – between 25 and 54 – who are employed or looking for work is well below the rate of other developed countries. The labor force participation rate has been climbing back up since the Great Recession, and among prime workers it reached a low of 80.6 percent in 2015, according to the Bureau of Labor Statistics. The last jobs report in May of this year marked the lowest unemployment rate since 2000 at 3.8 percent, but the workforce participation rate of prime-age workers only rose by about 1 percentage point. In 2016, Italy was the only OECD member country with a lower workforce participation rate of prime-age men than the U.S. The OECD report also states that opioid prescription rates tend to be higher in areas where labor force participation is lower. Princeton University economist Alan Krueger found that the increase in opioid prescribing can account for 20 to 25 percent of the decline in the number of people who are employed or looking for jobs. While there are a variety of factors contributing to the decline, Krueger tells Here & Now's Robin Young that "the opioid crisis has compounded the problem." Krueger, who also served as chairman of the Council of Economic Advisers under President Obama, conducted a county-by-county study of the link between the depressed workforce and the opioid crisis. "There are enormous differences across counties in the U.S. in the amount of opioid medication that doctors are prescribing," he says. 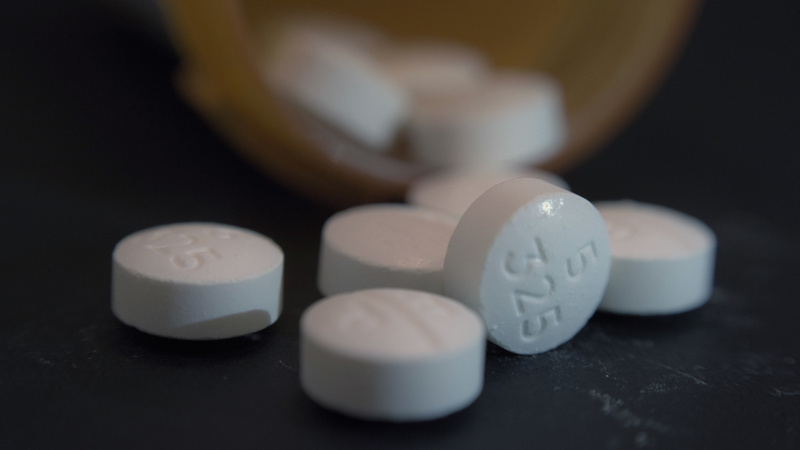 The Centers for Disease Control and Prevention reports that the amount of opioids prescribed per person in the U.S. was three times higher in 2015 than in 1999. In 2016, the overdose rate from prescription opioids was highest among those ages 25 to 54. The OECD report states that the opioid prescription rate per capita is "significantly higher" in the U.S. than in the organization's other member nations, which include the U.S, most of the European Union, Canada and Japan. Here's what all this suggests: the U.S. lags behind other countries in workforce participation because more opioids are prescribed in this country. The report notes that people who are prescribed opioids are more likely to get addicted, and those who are addicted are less likely to participate in the economy by looking for jobs. Krueger says the U.S. counties that had the lowest rates of labor participation have less in common that one might expect. "It's not just Appalachia. It's not just the Rust Belt," Krueger says. "If you look at western Nevada, where the economy has been booming, we see very high rates of opioid prescription and also relatively low labor force participation."